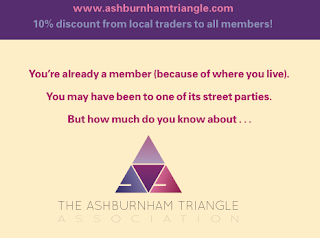 Ashburnham Triangle Association: Want a say in the ATA? Say it on Tuesday 25th. You might want things to be different from the way they are. Or you may just want to know what's going along. ATA's Annual General Meeting in the back room of the Ashburnham Arms at 8pm on Tuesday 25th October. The Ash's new landlady Pepina will bring you sandwiches.